Ice Queen is a pearly white, one out of the two shimmery highlight shades. It’s frosted finish is absolutely gorgeous. Adding a touch of this to my inner eye, brightens the eye area very nicely. Soft Light is a light, off-white/beige shade that doesn’t really have a distinct undertone. 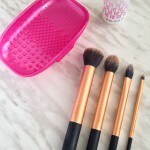 It has a matte finish and can be used to “bake” or set cream products. 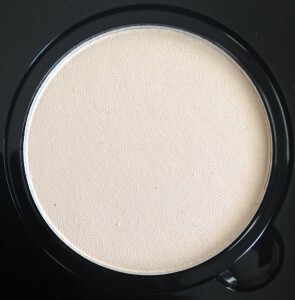 Cream is a pale yellow shade, with matte/satin finish. This paired with my MAC Pro Longwear Concealer is beyond perfect, since they both have yellow undertones. Nectar is a pearly soft peach shade with frosted shimmer. 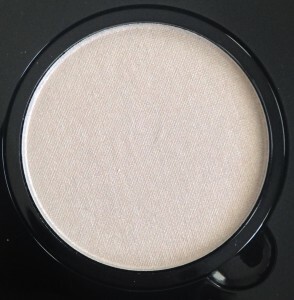 Champagne highlighters are beautiful when creating warmer looks. 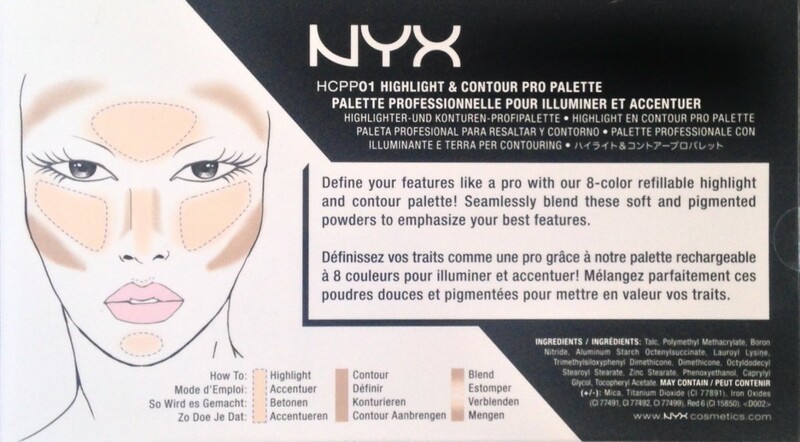 Definitely my favourite out of the two shimmer highlights in this palette. Tan is a matte soft brown shade with warm red undertones. It has opaque pigmentation and blends with ease. Toffee is also a matte brown but it has a yellow undertone with a satin finish. 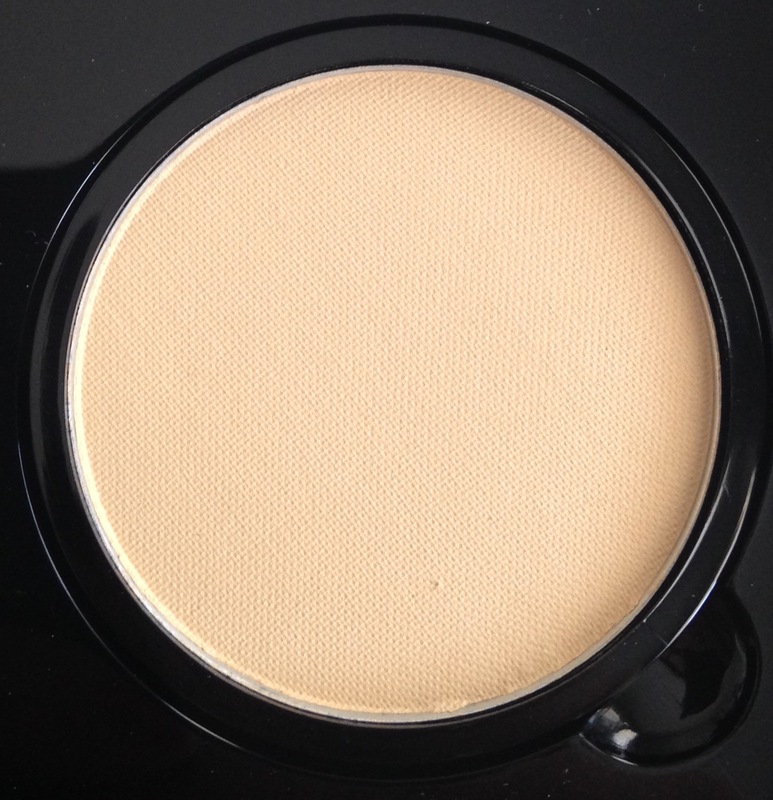 This contour shade was the most apparent in terms of it’s satin finish, where the others are much more flat. Sculpt is a light brown/taupe shade. 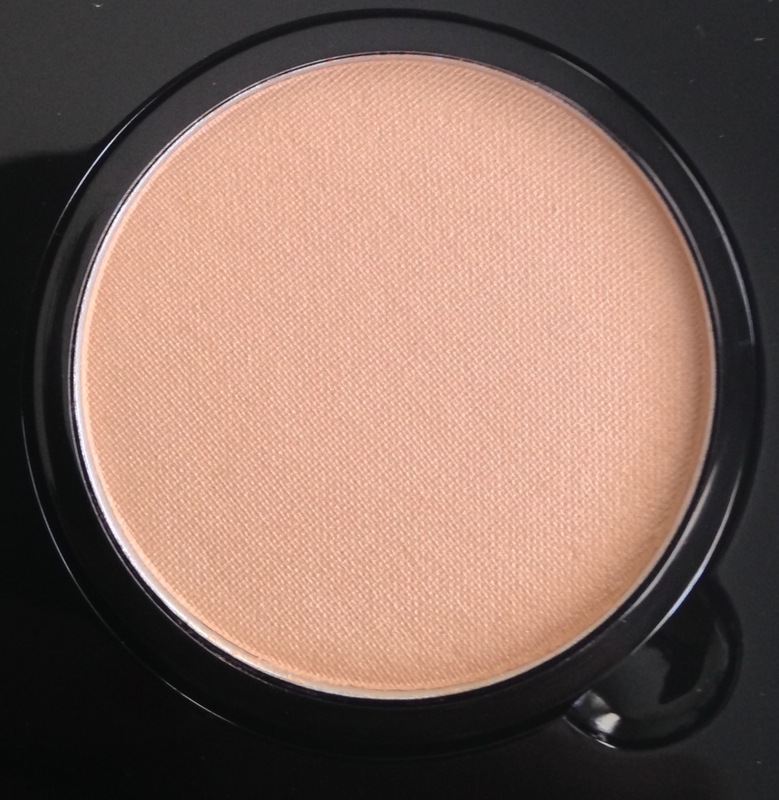 Definitely a cooler shade that is perfect to sculpt your face with. It has a satin sheen to it which prevents it from looking dry and powdery on the skin. 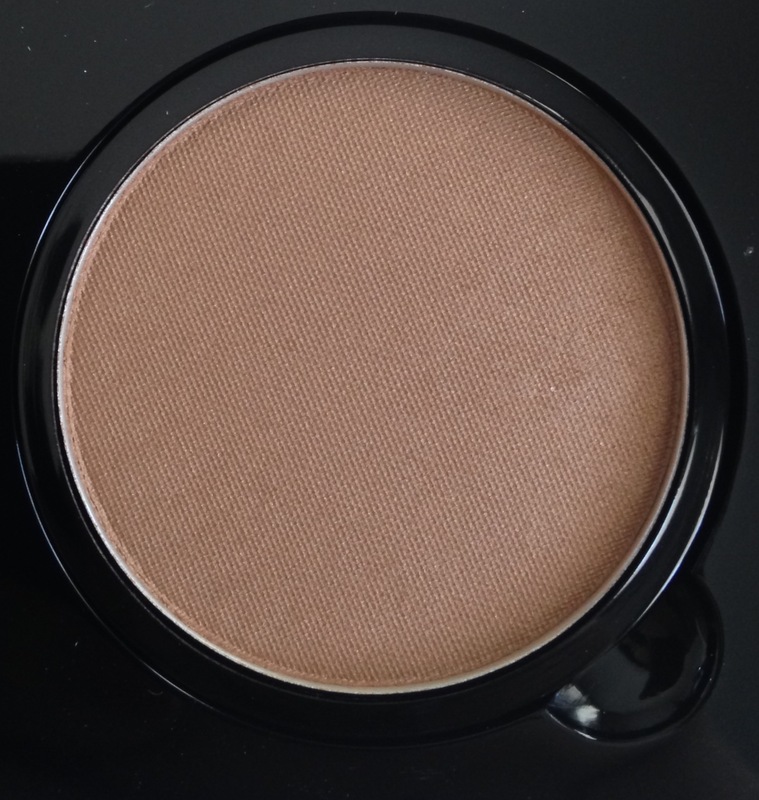 Hollow is the darkest brown from the contour shades. It has deep warm tones with excellent pigmentation. 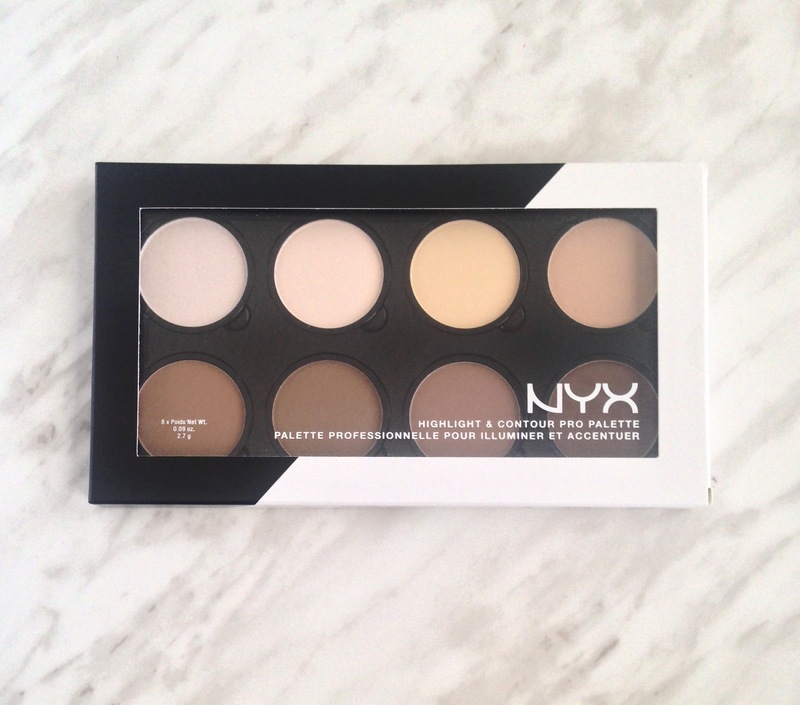 From the swatches you can see the wide selection of shades this palette contains. Although I sculpt my face with a cool tone brown, I blend and warm up my face with a warm brown shade like I would with a bronzer. 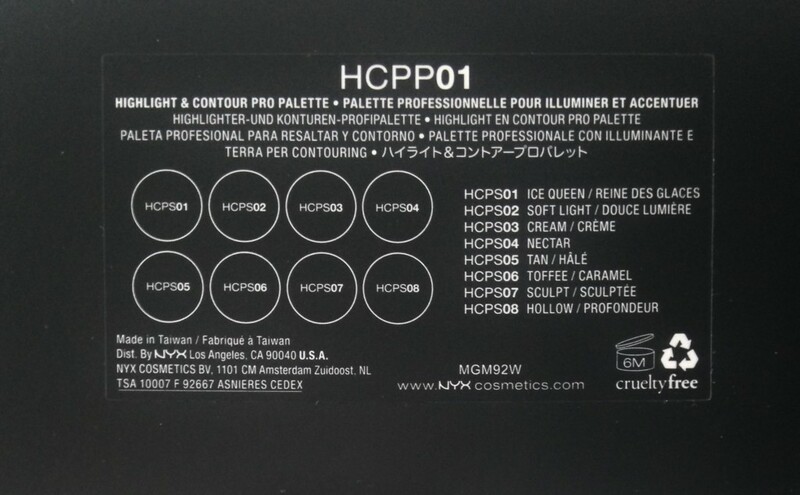 I am able to highlight/set cream highlight with different shades from this palette. 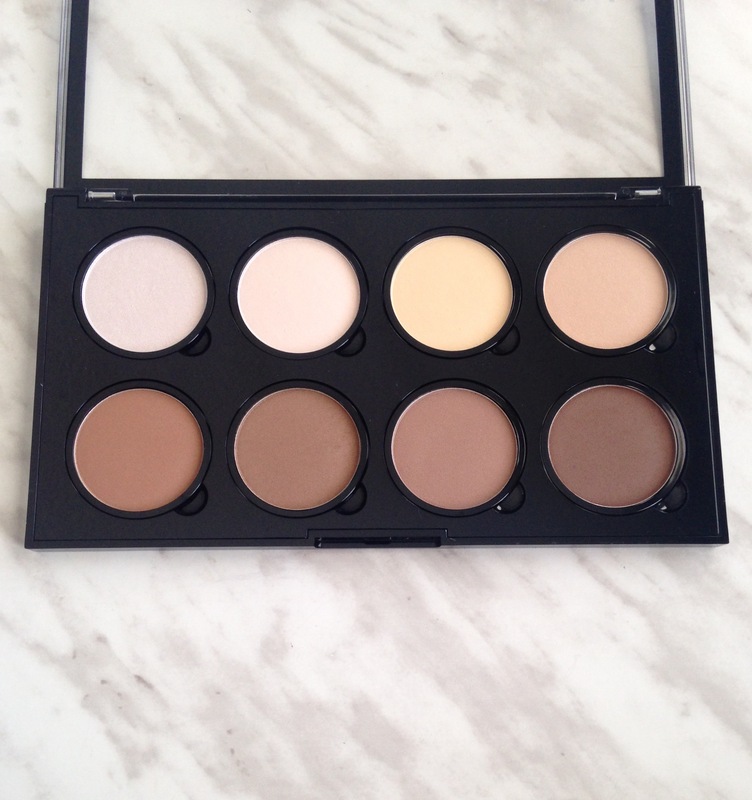 It also has neutral shades that you can apply to “bake”. Not to forget how GORGEOUS they look when worn as eye shadows. 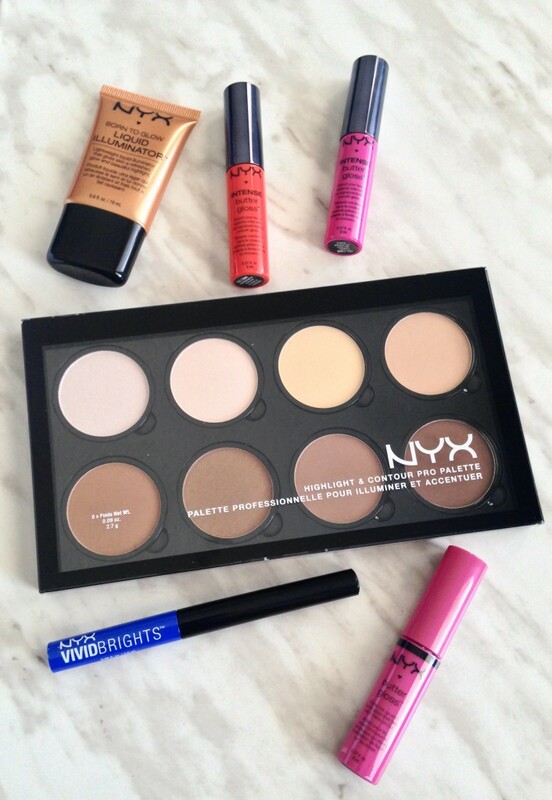 For these reasons, I LOVE the NYX Highlight & Contour Pro Palette and hence why I am on my second palette. 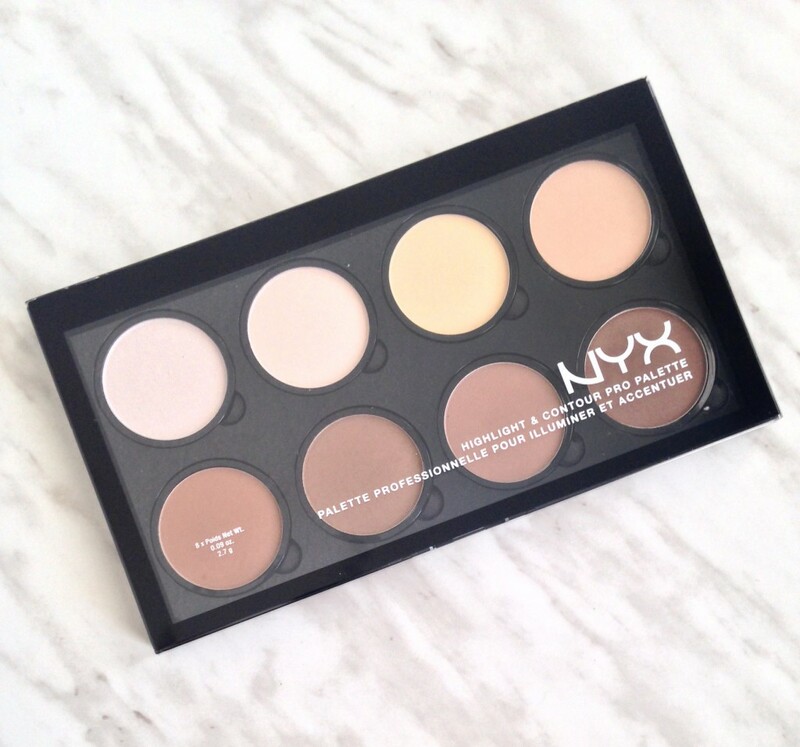 The NYX Highlight & Contour Pro Palette can be purchased from NYX Stores, Shoppers Drug Mart, Rexall and many other retailers. 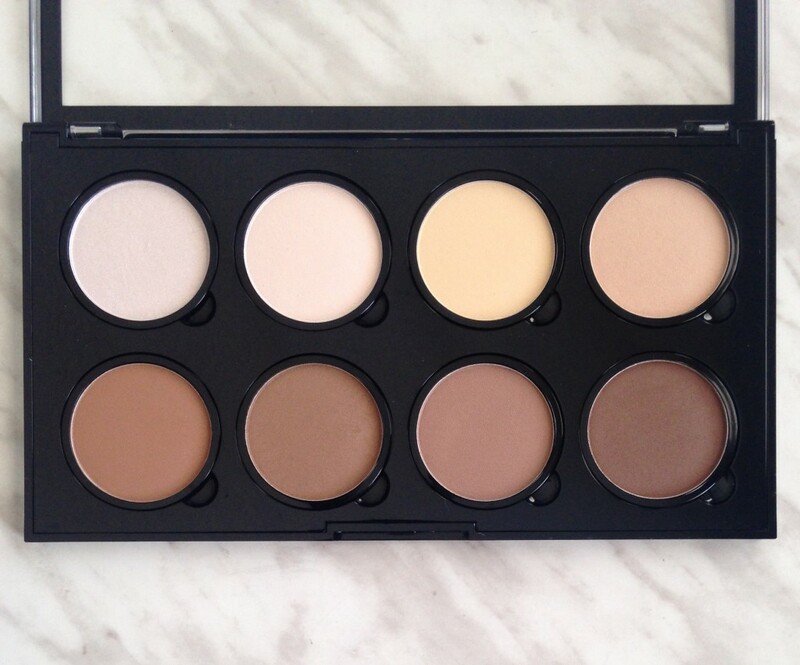 I was just thinking this would be a really great eyeshadow palette!